The Center for Family Business Dynamics provides expert advise for family businesses in located in Marin County, the San Francisco bay area, northern California and adjoining states. Learn more about the problems and conflicts facing family business owners. Discover solutions for overcoming the four major challenges facing family business owners: succession difficulties, conflicts between the generations, managing adult sibling and cousin conflicts, and overcoming outgrown governance. Leadership or ownership succession difficulties? Discover solutions for effective planning, continuity and succession. Conflict between the generations? Learn more about assessing and reducing intergenerational conflict within a family business. Underpowered sibling and cousin syndicates? Increase the value of your family business by reducing adult sibling conflict and empowering your sibling or cousin syndicate. Outgrown or non-existent governance for your family firm? 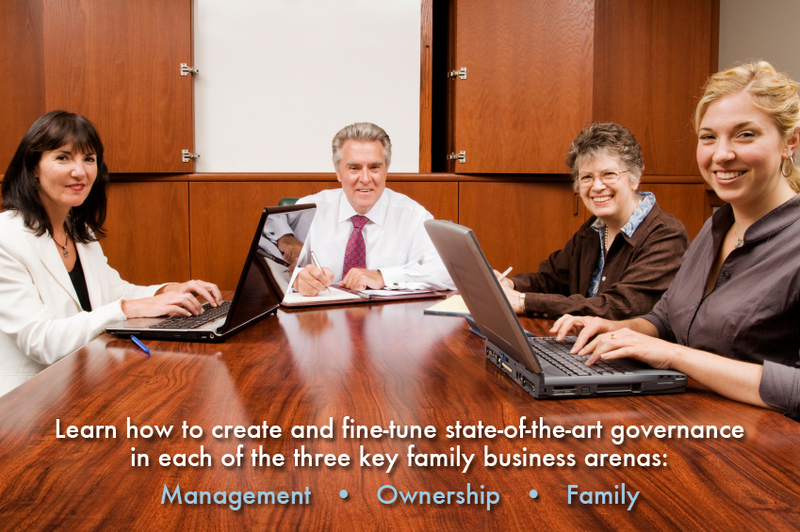 Create or improve governance for your family firm.